It is not rocket science to realize that the underlying plans of this Hindu fundamentalist outfit is to create further dissensions among the Muslim and Tamil Hindu communities at a challenging time in history where religious fundamentalism and anti-Muslim hate has almost mainstream in our society. Sometime back, there was a big commotion in a Trinco school where a Muslims teacher was not allowed to wear her Abhaya which created lot of bad blood and bitter taste in already strained inter communal relationships. It was widely suspected that Siva Senai and some disgruntled Tamil politicians were involved in this case. Then we had the case of the leader of Siva Senai making another commotion about cattle slaughter in Chavakachcheri. In speaking to an little known TV station, he made a vicious statement – He said that if Muslims cannot fall in line with the lifestyles of the majority – the Buddhists and Hindus, then they must leave, little realizing that the Muslims are part of our heritage for over 10 centuries- a typical Islamophobia statement which we hear being regularly uttered by other Sinhala Buddhist extremist anti Muslim groups. Both these incidents arising only with the last few months after the infamous Digana anti-Muslim violence cannot be dismissed as a parallel one-off event totally unconnected; rather signs are clear that there appears to be coordination and resonance in their anti-Muslim messages between both Sinhala Buddhist hate groups like BBS, and Sinha Ley and Hindu hate outfit like Siva Senai. It was in 2016 that the dreaded militant Shiv Sena in Mumbai extended its support to its Sri Lankan Tamil outfit called Siva Senai, (which takes its name from Lord Shiva ) which then triggered concerns among the mainstream politicians that sectarian outfits will reopen wounds of a 30-year-old civil war that ended only in 2009. Concerns were then raised that the militant nature of the new Siva Senai could break the status-quo prevailing in Northern Lanka while Tamils were wary that outfits like Senai would split Tamil unity. The Siva Senai, operating in the North, is led by a Sachithananthan then said in a press interview that his party extends support to the new Lankan outfit. However the Siva Sena says that that they also had the support of BJP, VHP, and RSS. Despite Siva Senai’s recent assertion to join hands with the extreme Buddhist groups against the Muslims, it’s original plan was to fight “coercive conversion” from Hinduism to Buddhism,which is the dominant religion among the Sinhalese. Our nation has just come out of a bloody war. It was clear that outfits like BBS tried to start off religious based wars by launching a hate campaign against the Muslims , with some support from the higher ups from the Rajapakse government. The result was further chaos in the country and dissension between Sinhalese and Muslims. Therefore, we don’t need another religion based political outfit like Siva Senai, just as we don’t need Sinhala Buddhist extremist outfits like BBS. Later during this government too which was voted in on a national reconciliation platform, other outfits like Sinhaley and Amitha/Saliya’Prasad combine continued those anti –Muslim hate campaign and violence culminating in Digana. We are aware of what Shiva Sena has been doing in India and obviously we therefore don’t need more Sri Lankan Senaas to add to our agony. Many observers also see the hand of India in the formation of Siva Senai. The Siva Senai have shown signs of expanding its’ network, with plans to have organisers for all the 25 districts of Sri Lanka which will therefore require external support. As Sachchithanantham himself accepted, he expects to get funding from India and the Tamil diaspora. Therefore, there is more than it meet the eye. However interestingly , this time Siva Sena appears to toe a unified line with Sinhala Buddhist extremists in attempting to alienate the Muslims of Sri Lankan through the language of cattle slaughter. 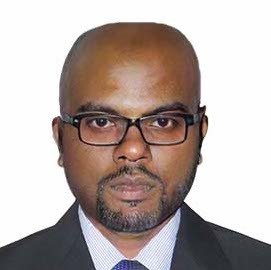 Both Hindu as well as the Sinhala Buddhist community should be careful in not getting trapped into this Siva Sena narrative in attempting to alienate another community –The Muslims. More importantly , it is imperative that the government learn lessons from the bitter hate campaign launched by the BBS during the previous regime and the newly formed groups during this government and the damaging consequences and take preventive action against these hate groups like Siva Senai before they create another religious war in the N and E between two sister communities Muslims and Tamils. It is important that the authorities take action against them who have been incited hatred and animosity specially using social media which will eventually lead to acts of violence against religious minorities. They have a duty to protect vulnerable groups and hold the perpetrators accountable.